Disclosure: I received a gift card to purchase ingredients for this recipe. All opinions and photos are my own. When I attended the grapefruit cooking class with TexaSweet Citrus Council and Central Market earlier this month, one of the recipes that we made was some glazed grilled shrimp. I am not a seafood person — shrimp grosses me out. 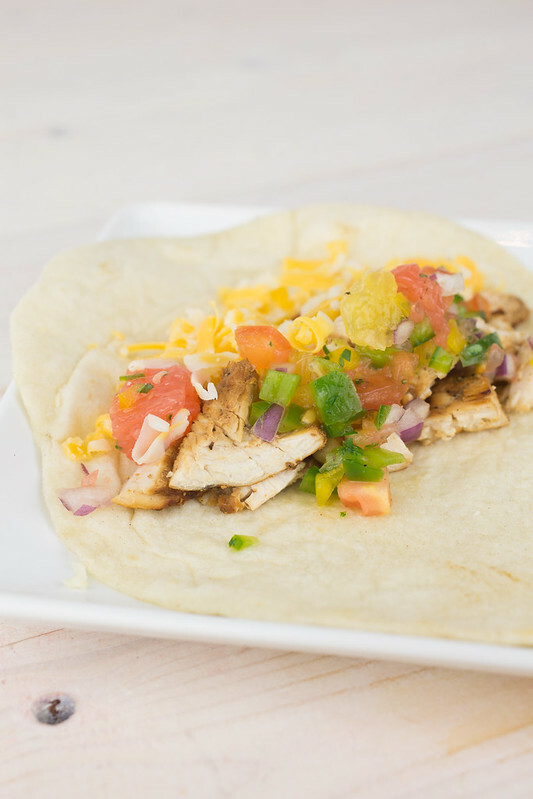 But the idea of the glaze sounded so good to me that I decided to adapt the recipe to make Grilled Chicken Tacos with Rio Star Grapefruit Glaze. This was the perfect meal for dinner. 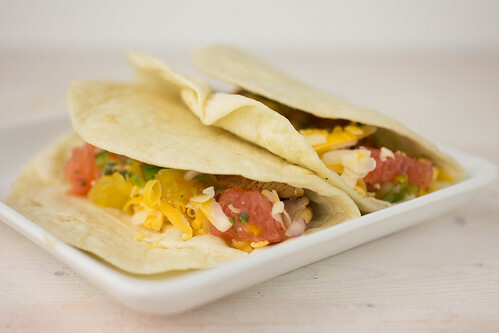 I served the tacos with Texas Citrus Salsa, which complimented them so well. 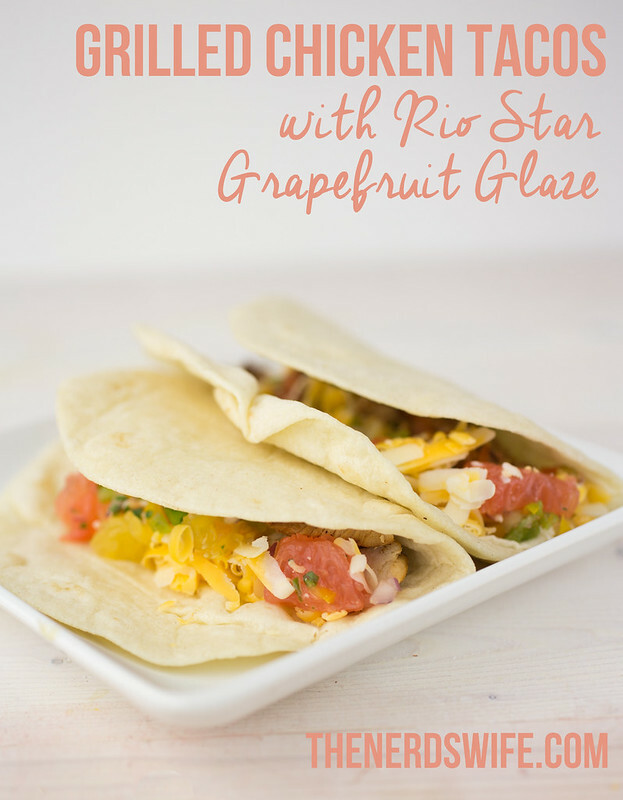 Add some Texas-shaped chips and you’ve got the perfect Texas Grapefruit-inspired Dinner! In a small bowl, stir together the garlic, zest, grapefruit juice, olive oil, honey, salt and pepper. Add the chicken breasts to a large Ziploc bag and pour in the marinade. Refrigerate for one-three hours. Light your grill. 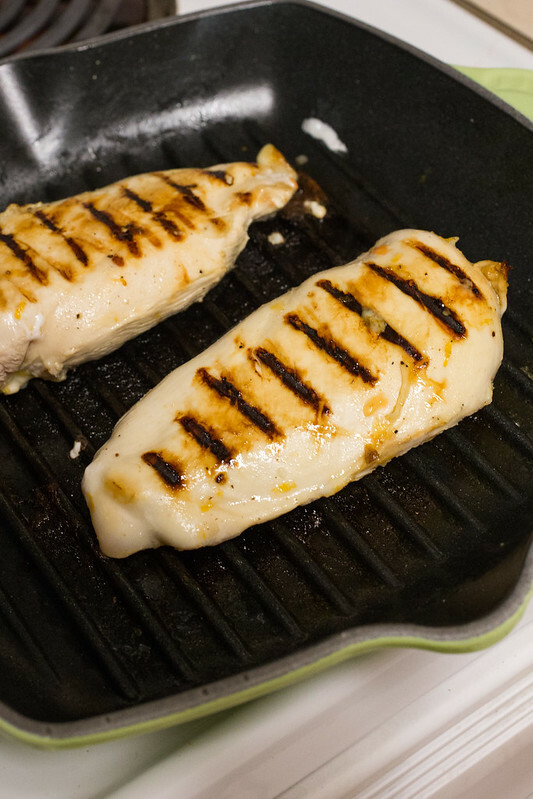 If you don’t have one (like me), you can use a grill pan on top of the stove. Once it’s hot, add the chicken breasts and grill both sides until done. When the chicken is done, cut it into small pieces. 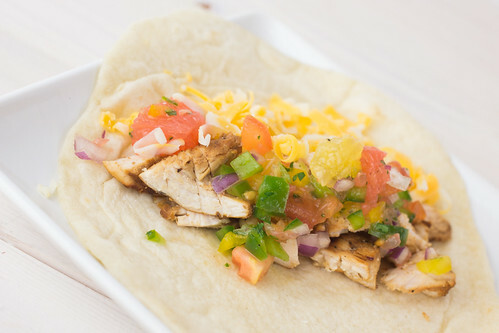 Add to a tortilla, and top with cheese and Texas Citrus Salsa. The sharp cheddar cheese is a really nice contrast to the sweetness of the glaze and the salsa. What’s your favorite way to eat grapefruit?